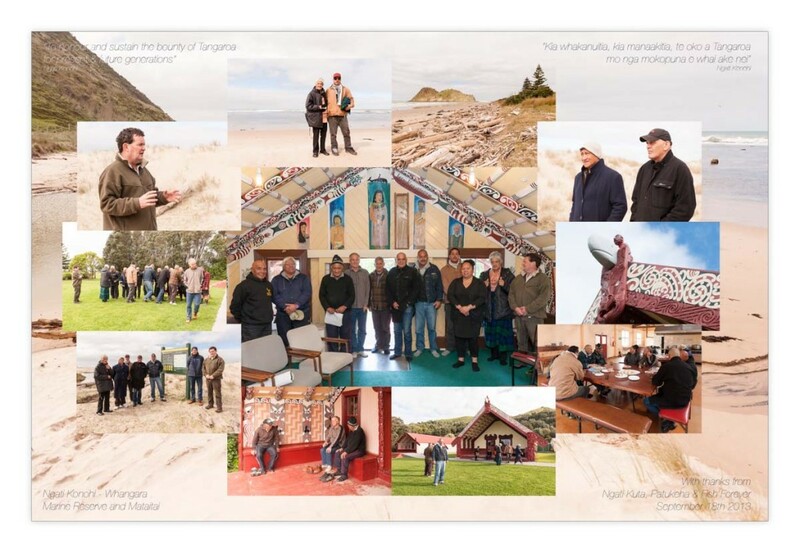 Ngati Konohi from Whangara, Gisborne are the first hapu in the country to establish a marine reserve. Their reserve has been running for 10 years and now feeds an adjoining mataitai area out in front of their marae. It’s made a huge difference to fish and crayfish stocks. 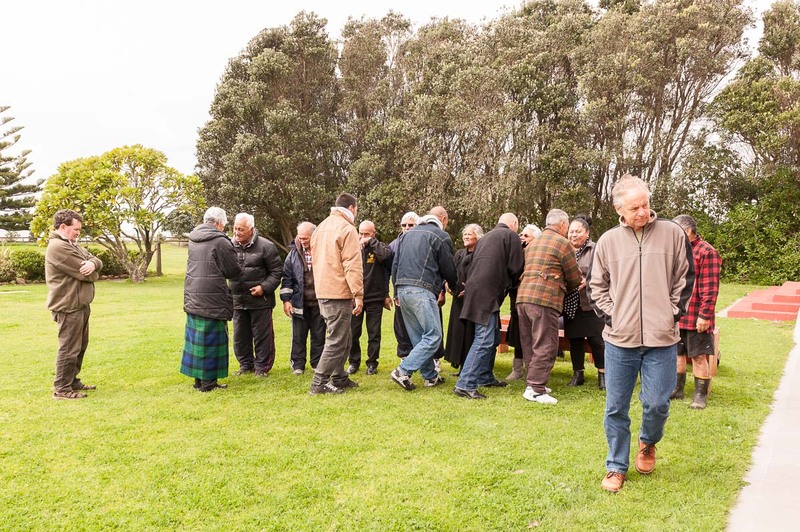 A group from Ngati Kuta, Patukeha and Fish Forever visited Ngati Konohi at their marae in September to learn first hand about their experience. A huge thank you to Hone, the people of Ngati Konohi and Jamie Quirk from Doc for hosting us and giving us such an inspiring day. 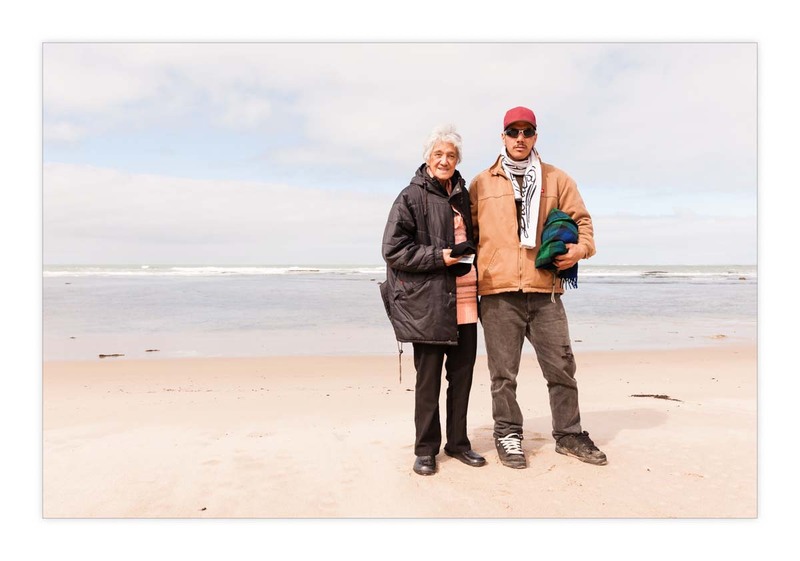 I love what you’ve done and think your mission statement sums it up perfectly: “To honour and sustain the bounty of Tangaroa for present & future generations” – here’s to that! The road to restoring Tangaroa wasn’t easy for Ngati Konohi. It took over 10 years for the reserve to be established. The hapu had concerns about marine reserves which they took to the then Minister of Conservation Denis Marshall. 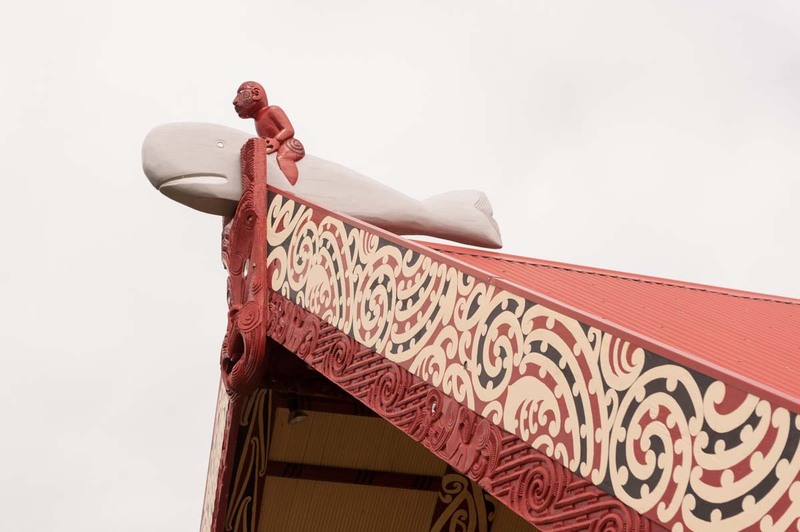 They wanted a mechanism that recognised and provided for Kaitaikitanga and a partnership between tangata whenua and the Crown in the management of marine reserves. They also requested a regular 25 year “generational review” of the reserve. That hapu representatives would make up the majority of the management committee. The hapu could request a formal review of the marine reserve from the Crown at any time, not just every 25 years. The minister noted that before any recommendation could be made to the Governor General to revoke a Marine Reserve it would be necessary to give the public the opportunity to make submissions on the proposal. 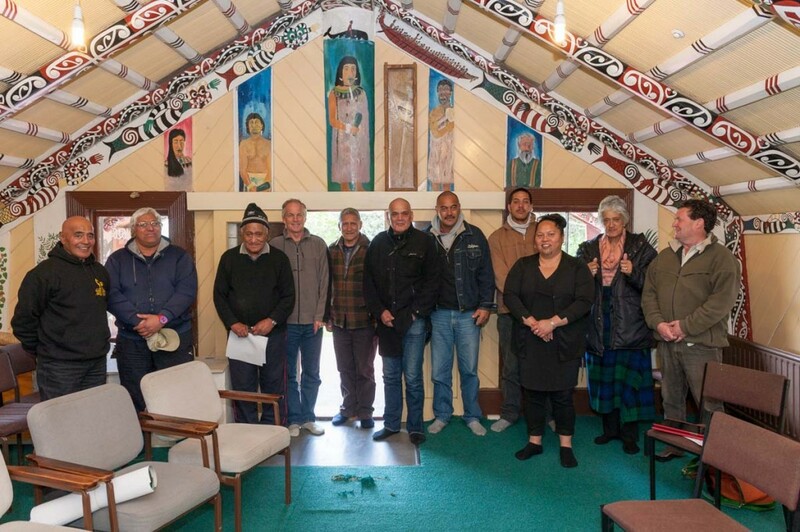 Ngati Konohi’s marine reserve management committee is made up of 4 hapu members, 1 Dept of Conservation member and 2 community members representing community interests ie: commerical fishers, recreational users. Hone described the marine reserve as his hapu’s insurance policy. After 10 years fish and crayfish numbers have increased dramatically. Scientific research has been carried out within the reserve with over 25,000 crayfish tagged. What they have found is these crayfish don’t stay exclusively in the reserve, they spill out across it’s borders. 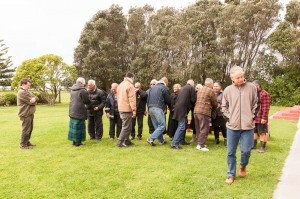 In 2011 Ngati Konohi established a mataitai out in front of its marae. It runs for 5km along the shore and 800m out to sea. It borders the marine reserve. As no commercial fishing is allowed in the mataitai area the spill over from the reserve benefits recreational fishermen directly. The marine reserve is indeed an insurance policy continuing to produce year after year. When the idea of a marine reserve was first discussed there were many who were opposed within the hapu. Hone says, 10 years on, most people can now see the value. Initially, commercial fishermen took two high court actions attempting to stop the reserve from being established. Where do they set their pots now 10 years on? Along the edge of the marine reserve. 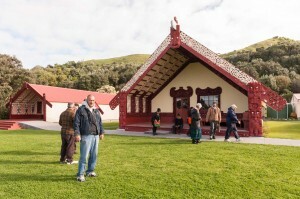 Blandy put a question to Hone, asking, “some of our people view giving up an area for a marine reserve as confiscation and loss of mana – how do you view that?” Hone’s response was Ngati Konohi haven’t given up anything – the minister has agreed they can request an official review of the reserve at any time. Hone added loss of mana would be having no fish. Thank you Hone and Ngati Konohi. Your leadership has produced a model that could be replicated throughout the country to protect the children of Tangaroa.